Mount Pleasant, Mich. — A joint venture between Lutz Real Estate Investments and Harrison Street Real Estate Capital has acquired University Meadows, a student housing community adjacent to Central Michigan University in Mount Pleasant. This purchase is the seventh student housing community acquired by the group. 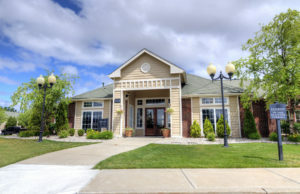 University Meadows consists of 616 beds and offers an amenity package including washers/dryers in every unit, a sand volleyball court, basketball court, business center, a resort style swimming pool with a hot tub, a recreation room and fitness center. It is located within walking distance to CMU’s campus and nightlife. Constructed in 1999, University Meadows recently received a significant capital infusion in interior upgrades: new black appliances, hardwood-style flooring throughout the common areas, and new leather-style furniture. According to Lutz, the property has been more than 95 percent occupied for the past five years. Over the past three years, Lutz and Harrison Street have acquired more than 2,800 beds at five major universities around the country. Lutz Real Estate Investments is a reliable partner that has successfully developed and/or acquired over $3 billion worth of real estate investments across the country in the last 55 years.